In his magnum opus, ‘On the Origin of Species’, Darwin writes about how evolution and natural selection is omnipresent and working ceaselessly for all living organisms, yet “we see nothing of these slow changes in progress, until the hand of time has marked the lapse of ages.” In other words, evolution works its magic so slowly that to us mortals won’t be able to witness it in action until our nephew’s nephews. Charles Darwin only spent a few months on the Galápagos Islands, however, compared to the past 40 years British biologists Peter and Rosemary Grant have. If the two sound familiar, you might know them as being featured on the popular science book “The Beak of the Finch“, by Jonathan Weiner. Published in 1994, at a time when 50% of Americans refused to believe in evolution, the book provided an entertaining read on how evolution works. Now, writing for the New York Times, Weiner offers us a precious update of what the married biologist couple have been up to – their discovery is hailed as nothing short of a breakthrough in evolutionary biology. 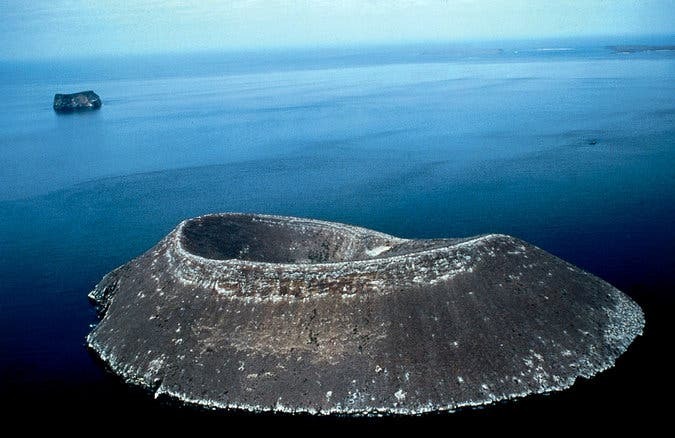 The Grants have visiting the tiny uninhabited island of Daphne Major, the cinder cone of an extinct volcano, each year since 1973. 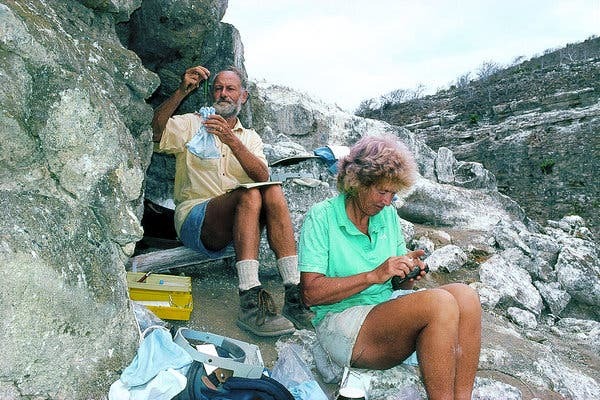 The vigorous duo, now each 77 years of age, would camp in the same spot, near a cave, and exclusively study the finches in the genus Geospiza – the same birds that offered Darwin key insights that led to the formation of his groundbreaking theory on evolution and natural selection. “Its own origins date to 1981, when a strange finch landed on the island. He was a hybrid of the medium-beaked ground finch and the cactus finch. He had the sort of proportions that touch our protective feelings: a big head on a stout body. In other words, he was cute. They called him Big Bird. Big Bird had a strange song that none of the finch watchers had ever heard. His feathers were a rich, extra-glossy black. He had more tricks in his repertory than his neighbors: He could crack the spiky, troublesome seeds of the Tribulus plant, normally the specialty of the big-beaked ground finch, as well as small seeds favored by the small-beaked ground finch. He could dine on the nectar, pollen and seeds of the cactus, which belongs to the cactus finch. Big Bird mated with a medium-beak on Daphne. Their offspring sang the new song of Big Bird. And slowly, Big Bird became a patriarch. He lived 13 years, a long time for one of Darwin’s finches. His children, grandchildren and great-grandchildren all sang his song, and they were clannish. They roosted in hearing distance of one another on the slopes of Daphne Major. What’s more, they bred only among their kind, generation after generation. The findings top more than 30 years of pain staking observations, providing perhaps some of the best empirical evidence that supports the theory of evolution. Notable figures in the field did not shy away from praising the effort.